V.E. Schwab (otherwise known as Victoria Schwab) is an evil genius. 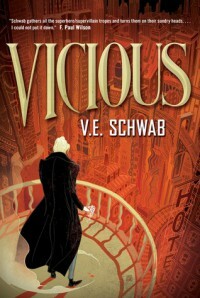 When I saw the cover of Vicious, I knew I had to read it. I didn’t even know what it was about yet. The beautiful colors and comic-esque style of the rendered art combined with the one word title just called to me. 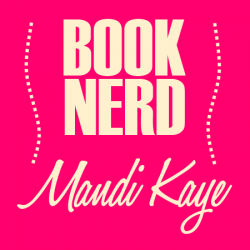 When I found out it was about villains – I was completely sold. Then I went to see her do a reading of the book and discovered that I was grossly oversimplifying the subject matter. It’s not just about villains. It’s about ethics and morality and the choices that we make. It gets deep y’all. Eli calls himself a hero, therefore Victor must necessarily be the anti-hero (i.e. the villain) because his purpose is to stop Eli. See how that works? It’s fascinating. What do words mean when you take their meaning away? At the reading, Victoria said this was an idea she wanted to explore while she was writing the book but I didn’t fully understand it until I read the book. She writes sociopaths frighteningly well. And in the end, I think she accomplished exactly what she set out to do. She wrote a book about people with super powers, rather than superheroes. She created a completely new universe out there with rules that defy physics (as most super powers do) and made me believe that it was all entirely possible. If you’re a fan of Marvel, of DC, of Dark Horse, or any of the comic book universes out there then this is absolutely a book you should read. If comics aren’t your thing, but you’re interested in reading a story about best friends who become mortal enemies then this one will fit the bill. Because the point of this story isn’t the super powers – no, the point of this story is what Eli and Victor do with their powers. It’s how they live and the choices that they make.